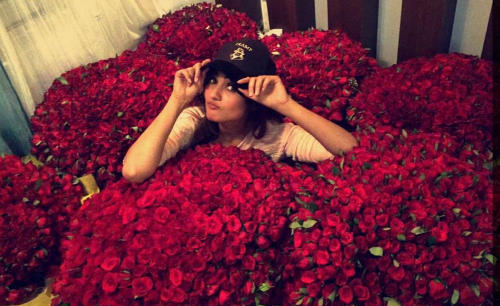 Sonal Chauhan Received 8,000 Roses! WHO Is Her Secret Admirer?! You might remember Sonal Chauhan from the movie Jannat, eight years ago. And you must definitely remember her from the music video of Fursat by Arjun Kanungo. Well, the gorgeous actress is causing quite a stir once again, but this time for a completely different reason! She posted a picture on her personal Instagram that has caught everyone's attention. 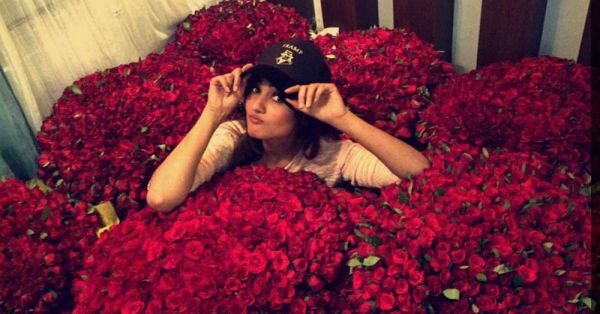 Well, who wouldn't stop and stare (with a little bit of envy, we admit) at 8,000 roses?! Of course, this picture has made us way to curious and we're dying to find out exactly who this secret admirer is!! P.S. : Happy Birthday, Sonal! We would send you flowers, but we expect you have your hands quite full with those at the moment. :P Image: Sonal Chauhan on Instagram MUST-READ: #Aww: This Beautiful Love Song Will Make Your Heart Skip A Beat MUST-READ: The Most ADORABLE Birthday Gift – Happy B’Day, SRK! !